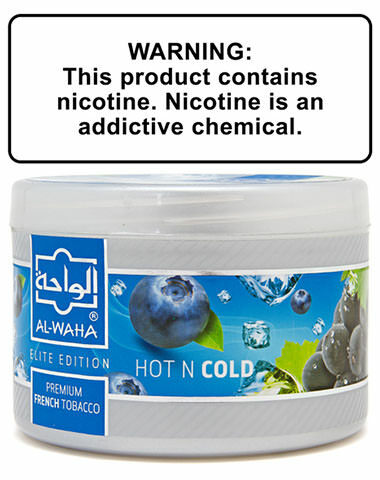 Very similar to Arctic Blueberry from Al Waha, Hot N Cold combines sweet, natural blueberry flavors with an even colder mint! If you felt like Arctic Blueberry was not minty enough, then step it up a notch with Hot N Cold. Hot N Cold Al Waha Shisha Tobacco has a average rating of 0 stars out of 5 stars based on 0 reviews.